Need A Quality Driver CPC Training Centre? Are you looking for a quality Driver CPC training centre that’ll help you pass your certification with flying colours? If so, one of the best solutions available to you has to be Train Drive – who are one of the most respected LGV / HGV driver training centres in the United Kingdom. In this guide, we are going to highlight some of the key reasons why choosing Train Drive is a great investment for your future career, as well as your overall driving skill set. So keeping this in mind, let’s explore further. First of all, there’s no denying that choosing an intensive driving course is a big investment of both time and money, so finding the best course provider is of paramount importance. Fortunately, Train Drive are one of the best-reviewed training centres around, and they also have an unparalleled success rate when it comes to getting their drivers through their tests and onto the road as fully qualified LGV / HGV drivers. Of course, they offer a broad range of training that involves both class II and class I courses, as well as specific courses for virtually any type of larger vehicle you may be interested in learning to drive ñ such as minibuses, ambulances, and more. It’s also important to note that their courses fully accommodate the specific certificates you need, such as the driver CPC qualification that’s recognised across all of Europe. One of the key aspects of this certification is making sure you have at least 35 hours of periodic training every five years to ensure you are thoroughly up-to-date with the latest driving standards, and a fully competent to be driving a larger vehicle on the roads. When it comes to periodic training of this nature, it’s well worth investing in the high-grade instruction available from Train Drive – and you can rest assured that they will ensure you pass your certification without any trouble at all. It’s also nice to know that the courses will really boost your confidence when it comes to driving larger vehicles, and being trained in their high-quality training vehicles will be a true delight, too. Ultimately, Train Drive give you everything you could ever need to pass your course – and with over 25 years of training experience in the industry – they certainly know how to get the best results from a student, regardless of their current experience and confidence levels. Overall, it’s safe to say that trusting Train Drive is a smart decision if you’re hoping to master your periodic Driver CPC training and ensure you are up-to-date with all the latest driving requirements. The vast majority of past students are quick to offer positive reviews and have many excellent things to say about this company, so if you’re looking to take the next step and improve your current driving skills, then giving Train Drive a phone call is a fantastic investment in your future driving skills. 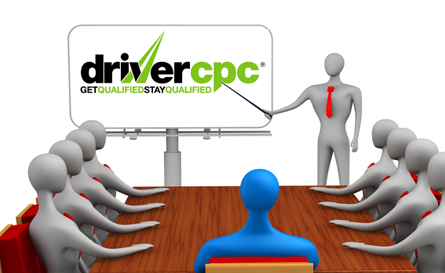 Now that you have read this guide, you should thoroughly understand why this Driver CPC training centre is such a great choice. New dates in November for our driver CPC courses. Book your places now ! The 35 hours can be split into 5 x 7 hour sessions. There are no exams to pass, courses are based on attendance only. On completion of the 35 hours the DSA will send you a Drivers Qualification Card (DQC). This is included in the cost of your course. In the meantime, you will receive an attendance certificate for each 7 hour session you attend. Cost of Driver CPC course ? TRAINDRIVE CURRENTLY OFFERS 7 HOUR SESSIONS IN OUR PURPOSE BUILT CLASSROOM WITH FREE PARKING AND REFRESHMENTS (EXCLUDING LUNCH). Weekday courses are available with a minimum of 5 delegates. Please email your requirements. Please use the booking form to check availability or request a date. Please use the Booking Form or email us at traindrivelgv@hotmail.com or call us for course dates and availability. We are also able to accommodate CPC training in other areas. By September 2014, any driver who obtained an LGV licence before September 2009 and who uses their licence commercially (including any vehicle with a gross vehicle weight of 3.5T or more) needs to complete 35 hours compulsory Periodic CPC Training. Without completing the Driver CPC by the deadline, you will not legally be entitled to work and you AND your employer risk a hefty fine. The 35 hours can be split into 5 x 7 hour sessions. There are no exams to pass, courses are based on attendance only. On completion of the 35 hours the DSA will send you a Drivers Qualification Card (DQC). This is included in the cost of your course. In the meantime, you will receive an attendance certificate for each 7 hour session you attend. How much is Driver CPC course ?